Expend energy on the hill and not on getting into your boots! 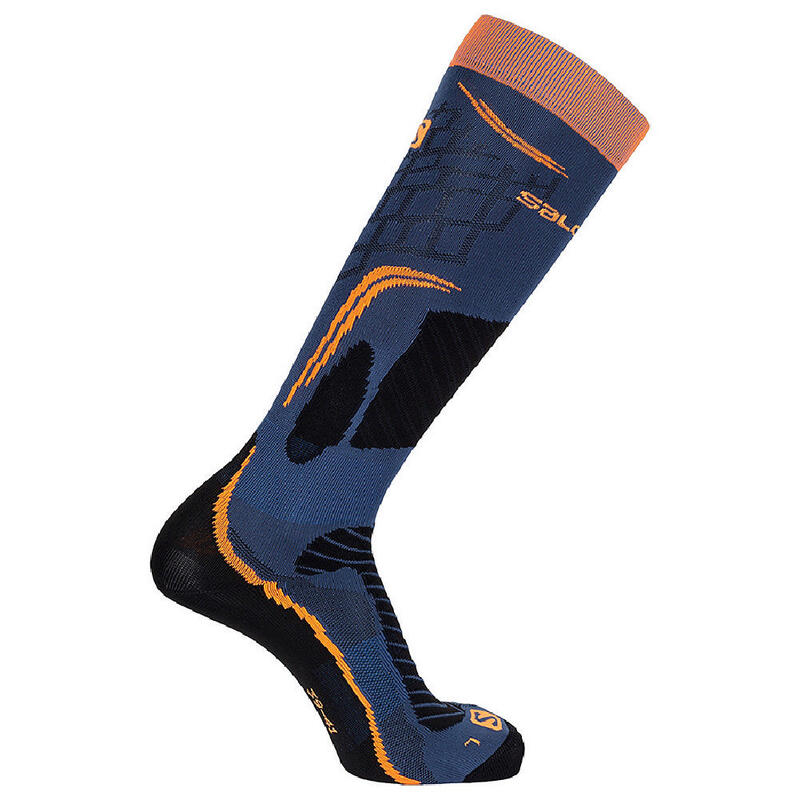 The Salomon X PRO is a mid-weight sock with an easy step-in and adaptable fit. Dryarn® is incorporated into body of the sock in key spots to rid your feet of moisture efficiently. Easy step in: Knitted with nylon threads in key areas, the foot slides easily into the boot for more comfortable step-in. NanoGlide Fabric: It significantly reduces friction between the sock and the skin, eliminating blisters and irritations, and guaranteeing the comfort and performance that an active person demands. Dryarn Fabric: Dryarn® is the lightest fibre existing in nature plus being 100% recyclable. Its hydrophobic fiber does not absorb the body perspiration for maximum freshness. Friction Free Fabric: The Blister Guard™ system system utilizes a patented technology of knitting Friction Free® brand fibre into the heel, pad and toe of the sock. 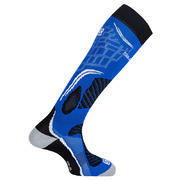 This significantly reduces friction between the sock and the skin, eliminates blisters and other irritations, and guarantees the comfort and performance an active person demands.